Thank you for your interest in having former Wisconsin Gov. Martin J. Schreiber, author of My Two Elaines: Learning, Coping, and Surviving as an Alzheimer’s Caregiver, at your event. In an effort to reach as many caregivers as possible, Marty does not charge a speaker’s fee / honorarium*. 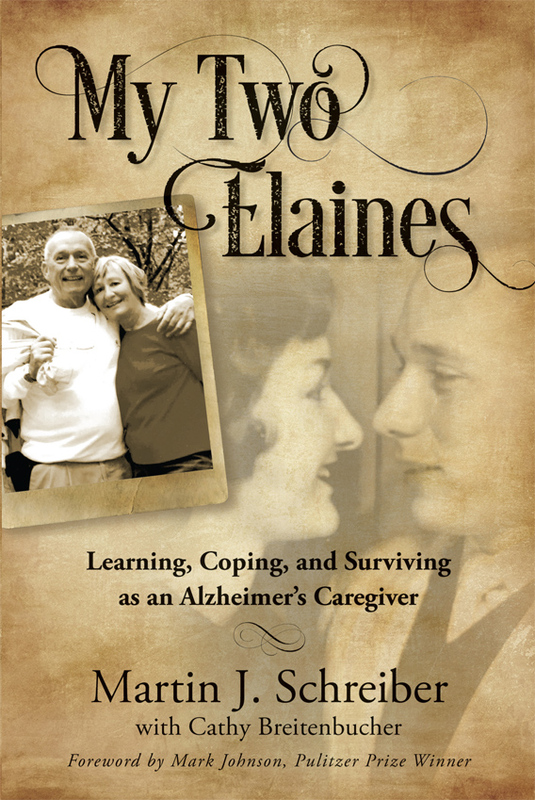 Please note: Net proceeds from the sale of My Two Elaines are used to promote Alzheimer’s caregiver support. * Airfare or mileage from Milwaukee, Wis., at the current federal rate, and actual costs of lodging and meals are requested. We plan 3 months or more in advance, so submit your form early. We try to honor as many requests as time allows. You may expect a response within two weeks. We ask you to accept responsibility for marketing, publicizing, and registration for this event. We’ll provide you some tips for getting attention from the news media. Your organization and/or sponsor is asked to purchase two cases of books (108 copies) at a cost of $10.00 per copy, plus shipping if necessary. These books may be purchased in advance and given to your audience and/or used as a community resource. At your event, Gov. Schreiber and/or his representative will conduct on-site sales of additional books at $15.00 per copy. Airfare or mileage at the current federal rate, and actual costs of lodging and meals are requested. If you have questions about these guidelines, please use the Additional Information / Comments section at the end of this form. Provide details about any and all media you plan to use (print, TV, radio, public relations – agency or in-house, paid advertising, flyers or brochures, direct mail, community newsletter, signs, social media such as Facebook, Twitter, Instagram, etc.). If we accept your invitation, we will provide you a sample media release and a timeline you should use in promoting the event.